starcraft | Welcome to the Underground. 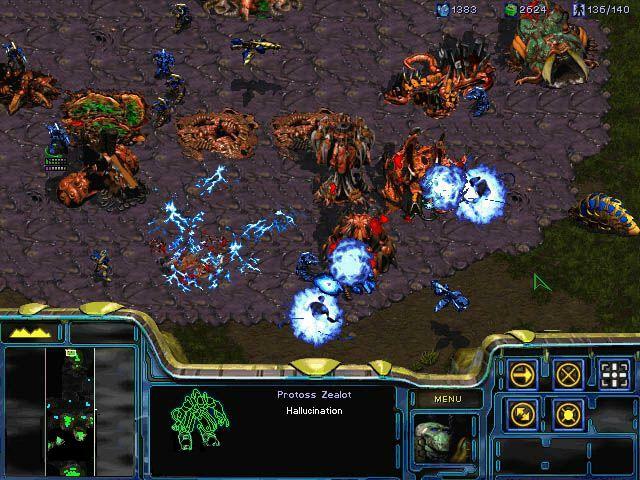 What we are going to do is about once a month until Starcraft 2 is released is host a Starcraft Tunngle weekend. If you enjoy playing Starcraft, please visit the Starcraft room in Tunngle this weekend and play with the guys. It will be a good time, and maybe you can brush up on your Starcraft skills in preparation for Starcraft 2! Tunngle – The Hamachi Killer – Learn How To Play LAN Enabled PC Games Over The Internet For Free! 7-30-09: Initial release. Added another section for Underground Gamer requests. 7-31-09: Added World in Conflict and Warcraft 3 gamer request. 8-01-09: Added No One Lives Forever 2 gamer request, Far Cry 2, and Gears of War. 8-02-09: Changed the game request section slightly. Now it has a “Known to work Straight Up” part of it. 8-3-09: Added notes to the games section for quake 3 and call of duty 1. 8-7-09: Added Worms Armaggedon and Worms World Party to games section. 8-8-09: Added hamachi channel. I hope I am not going to regret this. 8-11-09: Added Call of Duty 2 and Gears of War to verified games list. 8-13-09: Added install Tunngle demonstration video. 4-7-10: Yes, I am going to fix the pictures. Will do that tomorrow. 7-3-10: Added note to the game list section. There are lots of LAN games, so way in hell I will update this list for all the hundreds of LAN games I have tested. If you follow this blog, or know anything about VPN programs, Hamachi is a great program that people can use to play LAN games with each other. In short, Hamachi was the king for implementing LAN games to play over the Internet. How it worked is people would join these networks, and Hamachi gives each user a unique IP address. When you launch a game, the game is tricked into thinking that everyone in the network is on the same LAN, and hence, you can see each other to play the game. Of course, Hamachi has other useful purposes such as being a great secure chat medium, as well as being an alternative as a safe VPN to tunnel into your PCs and transfer files or encrypt remote transfers or remote administration.